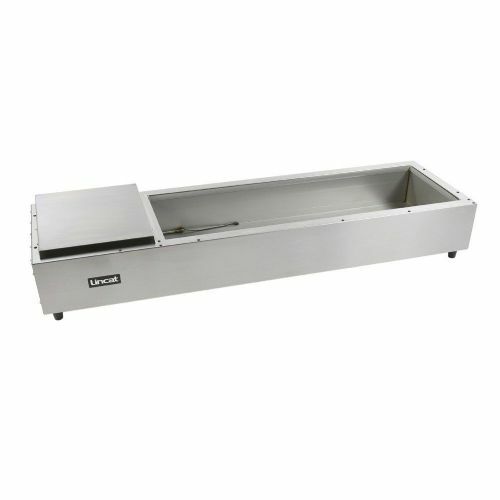 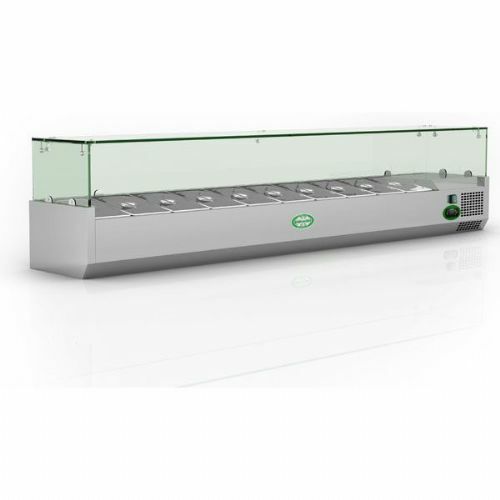 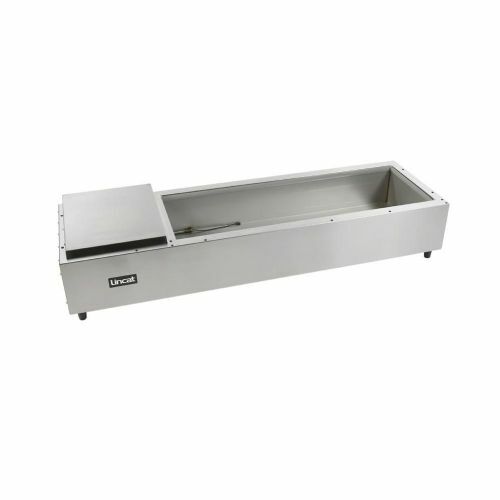 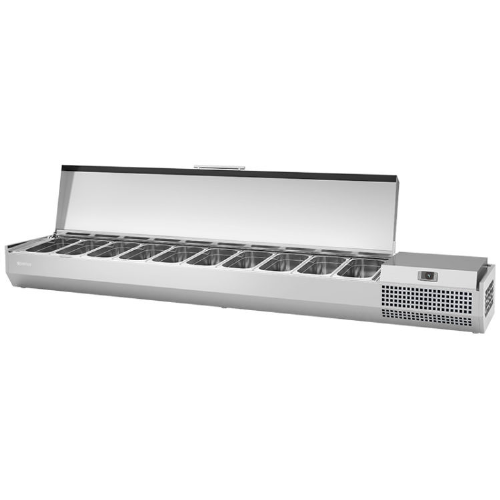 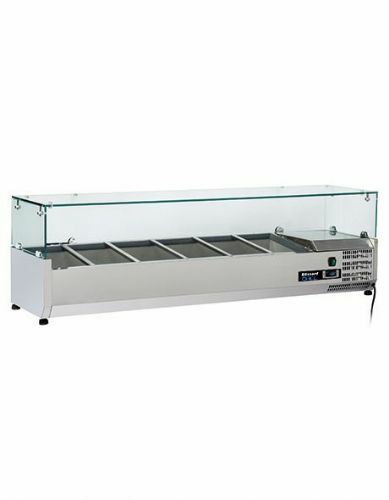 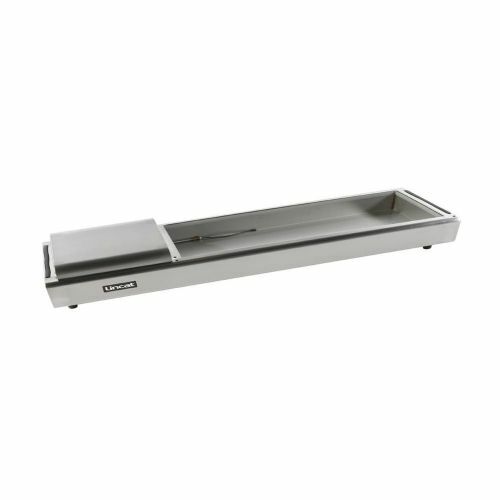 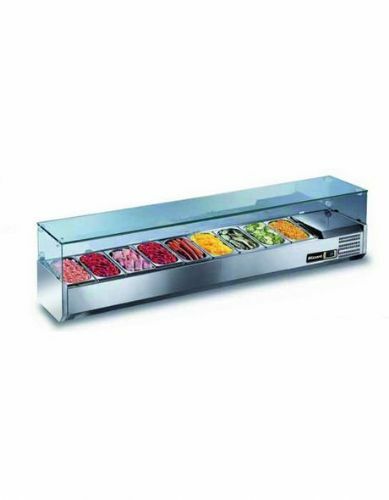 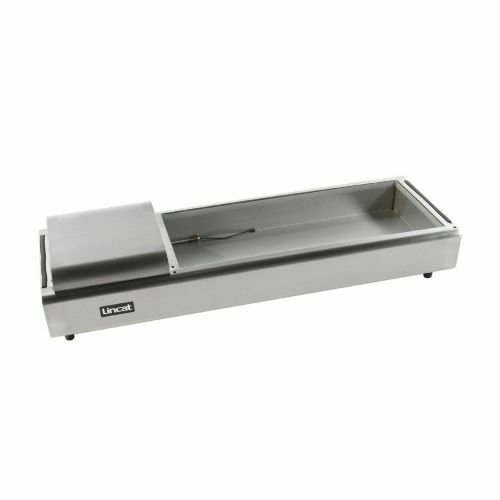 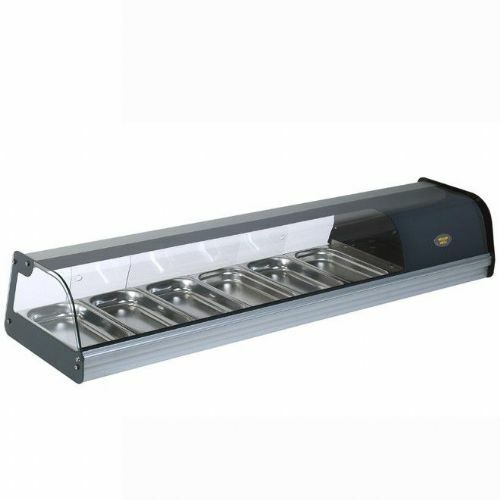 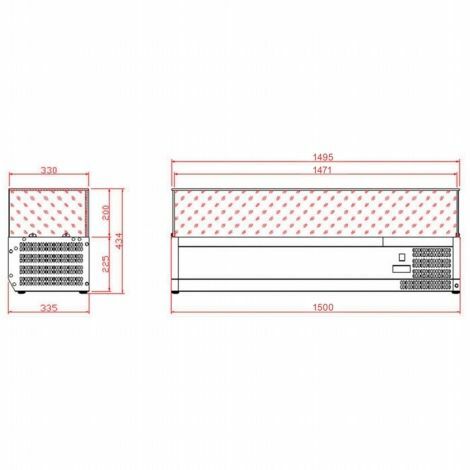 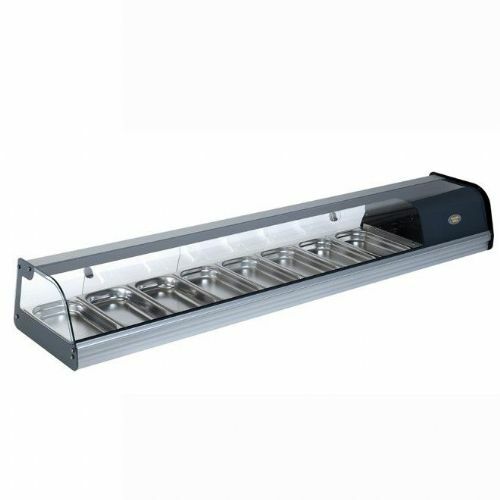 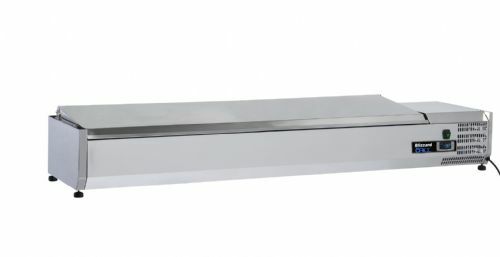 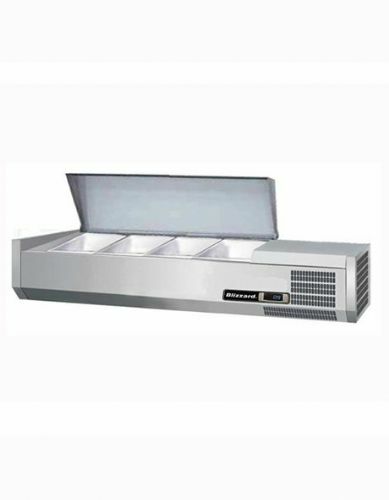 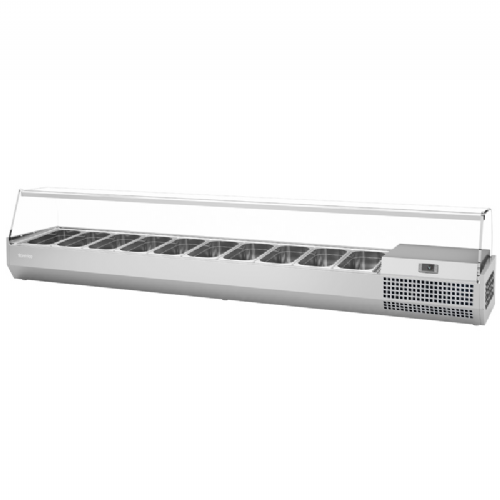 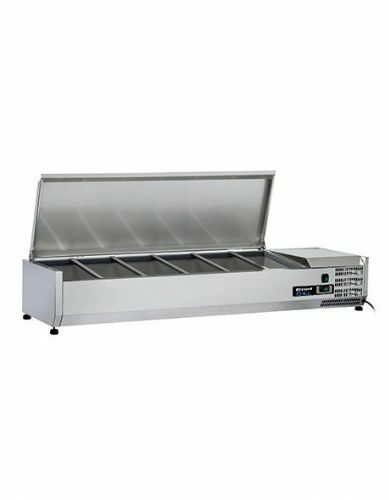 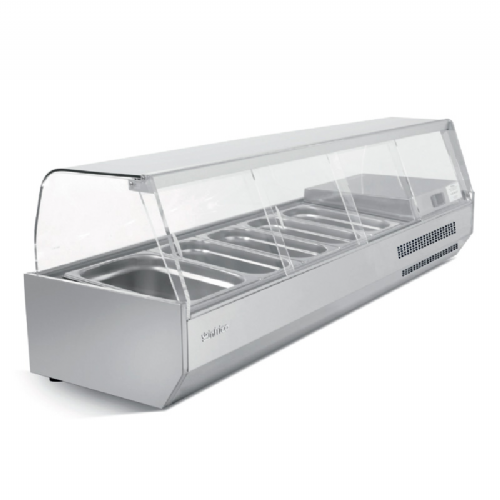 Prep tops are an ideal to visually display fresh food prep or chilled food ready for service, either way the counter top prep display is a versatile showcase. 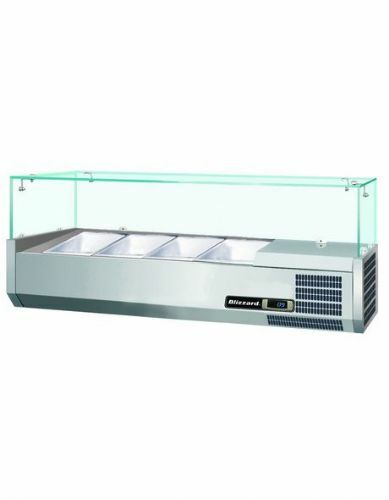 Available with a glass sneeze top or stainless steel lid. 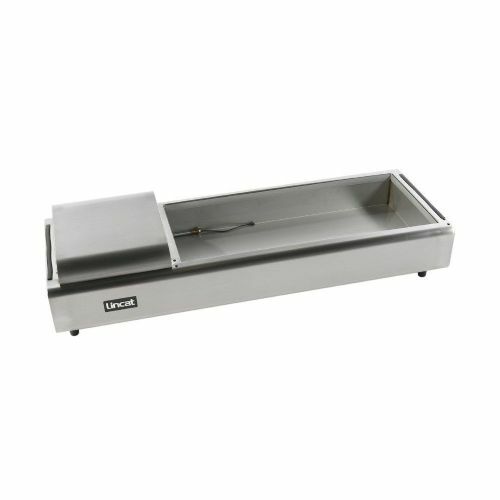 Note: Gastronorm pans for the prep top are usually sold separately. 3 x 1/3 Gastronorm + 1 x 1/2 Gastronorm. 5 x 1/3 Gastronorm + 1 x 1/2 Gastronorm.